This news segment discusses the errors in some school textbooks. A Facebook friend of mine (I honestly thought I would never use that term) recently posted the video on the left. It discusses several errors that are found in U.S. school textbooks. With the post, she noted, “I am so thankful and blessed we are able to homeschool!” As I reflect on her comment, I realize that there is a profound truth expressed there. Several of my posts related to home education discuss the fact that homeschool graduates are, on average, head and shoulders above their peers. That was my experience when I taught at the university level, and it is the conclusion of many academic studies. There are several reasons that a home education tends to produce superior students, and I have explored some of them in the posts linked above and in articles I have written for homeschool magazines. However, I think my Facebook friend’s post provides yet another: Homeschooling materials are, on average, superior to what you find in most schools. Like many true statements, this one is a bit counter-intuitive. After all, teachers choose the materials that are used in schools. While teachers are generally not experts in their field, they are at least more knowledgeable in their field than most parents. As a result, you would expect teachers to choose better educational materials than parents. Nevertheless, as someone who has examined the science texts used in schools and the science texts used in homeschools, it is my opinion that the ones used in homeschools are, on average, superior. Why is this the case? Well, the first thing you have to realize is that while teachers are, indeed, more knowledgeable in their field than most parents, that doesn’t mean they tend to choose accurate materials. As I have mentioned previously, even an expert doesn’t know everything about a topic, which is why peer review is so important in scientific publishing. In addition, there are a lot of myths that all experts learn through the course of their training, and many experts hold on to those myths because they never bother to sort through the supporting evidence. Thus, while a teacher will probably spot a lot of obvious errors in a text, the less obvious errors will often not be noticed. Even when a group of teachers get together to look at what text to adopt, many errors pass through the group review unnoticed. But aren’t parents who are not as educated in a given subject prone to miss even more errors? Absolutely. However, there is a crucial difference between the way a homeschooling parent chooses a text and the way a teacher chooses a text: The homeschooling parent typically chooses a text based on results. When a teacher chooses a text, the school is stuck with it for the entire textbook cycle, which is typically seven years. Since you can never truly evaluate a text without actually using it, it is very possible that a teacher will start noticing all sorts of problems with a textbook once he or she starts teaching from it. Unless something extraordinary happens, however, that won’t matter. The teacher (and anyone who comes after him or her) will have to continue to use it until the end of the cycle. Worse yet, the teacher’s knowledge of the effectiveness of a text typically ends with the final class. Very rarely does a teacher follow a student in college or the real world to see how effectively the student was prepared by his or her class. So even in the case where a teacher finds a text that he or she thinks is truly first-rate after using it for a few years, that evaluation is generally based solely on what happens in his or her class. Now compare that to the homeschooling parent. First, the parent is not held to a textbook cycle. If the parent starts noticing issues in the text (be they factual errors or just issues regarding whether or not the student can use the book effectively), the parent is free to get another text. Also, consider the kind of review a homeschooling parent has when it comes to a textbook. Unlike students in most schools, homeschooled students generally have to do research regarding any given subject, specifically because there is not a teacher there who can answer most questions. As a result, a homeschooled student gets on the internet or goes to the library to find other resources that help explain the material. Those resources, of course, will overlap with the book, and if there are discrepancies, this causes immediate concern. I can’t tell you how many students write to me and say, “Your book says one thing, but this other resource says something quite different. Which is correct?” That’s something I never encountered while teaching at both the high school and university levels. So while a homeschooling parent doesn’t have as much knowledge in the subject matter as a teacher, the parent often gets the benefit of a kind of “peer review,” because the student is spending time looking at other materials related to the text. But the review doesn’t end there, and I think that’s the major point. 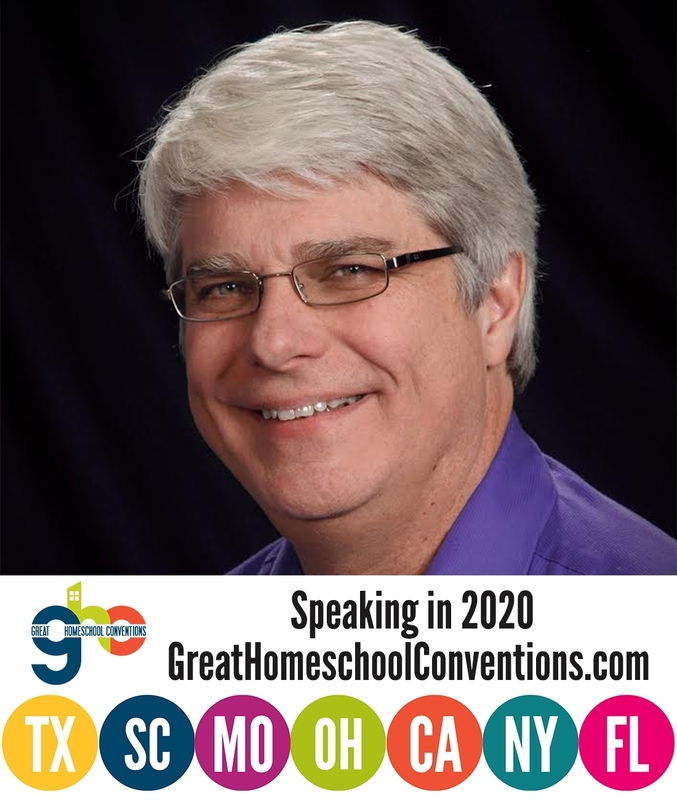 Unlike a teacher, a homeschooling parent closely follows the progress of his or her children as they graduate and move on to college or the real world. This often leads to a long-term evaluation that a teacher never gets. Once again, I can’t tell you how many times I have heard a homeschooling parent say something like, “My son used this text for calculus, and even though we thought it worked well at the time, he crashed and burned in his university calculus course. I won’t be using that text for my other children.” Of course, that kind of review gets passed on to other homeschooling parents, and fairly soon, not a lot of homeschoolers are buying that text anymore. The reverse is true as well. I have also heard homeschooling parents say something like, “We used that text for calculus, and when my daughter got to university, she was much better prepared than the others in her calculus course.” This is the kind of statement that causes other homeschooling parents to go buy the text. As a result, effective textbooks tend to be very popular in homeschooling. So in the end, I find the quality of homeschool curriculum superior (on average) to that of most public and private schools. That doesn’t mean there aren’t terrible materials in homeschooling. There certainly are. However, I don’t find them as popular as the good materials, and I think that is due to the very nature of home education. This is a ridiculous state of affairs. There is no reason whatsoever that an entire national eduction system could not properly evaluate their books. Perhaps one school loses contact with their pupils, but the education system as a whole should be able to vet out their books more far more effectively than a handful of homeschoolers. If there is a rumor-based natural selection going on among a small community surely Universities and schools should be able to get the same sort of thing going on a much wider scale. To be honest I think the problem is deeper than this. Errors are one thing, and to be honest not that big a thing so long as the teacher has the intelligence and initiative to slay them on the few occasions that they rear their heads. Simply having a poor teaching manner is in my opinion a much worse situation (for a teacher as much as for a book). But my definition of a poor teaching style differs significantly from that of many of my peers, and theirs from each others’. I am inclined to suspect that the real reason Homeschoolers end up doing better is that they aren’t all forced to learn in the same way from the same book which assumes they have an IQ of exactly 100 and are perfectly typical in all other areas. For example I’d probably want a physics book with meaty mathematical equations and definitions for electricity, but many people would prefer the “corridor with children running up and down it” analogy and a diagram (of the analogy :D). A homeschooled family will tend to find what books and what methods work with THEIR children. A school just has to make do with what works for the class, and that is rarely the optimal solution for each student. Point specific to text books rather than literature. One problem with the idea of the education community having a long-term evaluation of textbooks is that the performance of a student in class is, as you point out, heavily dependent on the teacher. An excellent book and a horrible teacher will combine to produce an unprepared student. In homeschooling, the book is a much more important part of the learning process, so the quality of the book is easier to evaluate in home education. With that said, however, you are correct. Schools should at least attempt to perform long-term evaluations of the materials they use. I certainly agree with you that a customized education for each child is one of the big strengths of homeschooling, and I am sure that it accounts for much of the superiority of the average homeschooled student. However, there are many factors, and I do think the excellent materials they have is one of them. I can’t strongly agree or disagree with any of this… except that Josiah is absolutely right! Our education system should be able to… well… come up with a better system! One that includes solid materials and personalization for different learning styles, but that could be a whole post on its own. You neglected to mention what I suspect is the biggest factor (aside from cost which is an administrative decision, not a teacher’s) for a teacher when selecting a text, and that is teach-ability. How easy is it for the teacher to use? Does it provide pre-made PowerPoint presentations, multiple versions of tests, homework assignments? Or is it mostly just a book with a teacher’s copy. If there is enough support material for the teacher they can probably overlook errors, making sure to point the errors out to the students when they give the lecture. As someone who graduated from a public high school, my experience was that most of my learning came from my teachers. Much to my father’s chagrin, I barely cracked a textbook in high school. I listened to teachers lecture and on good days even took notes. That landed me an honors diploma. But then again, that goes back to Josiah’s point of learning style. While I learned by listening, I’m sure some of my friends actually read some of those bricks we carried around. Black Sheep, I think most students in public and private school share your experience. They don’t use the book much at all, since the teacher can’t count on anyone reading the book. Thus, the teacher must spoon-feed everything to his or her students. As a result, for a teacher, the more the book lends itself to teaching from it (as opposed to learning from it), the more likely the teacher is to adopt it. I couldn’t agree more that “Our education system should be able to… well… come up with a better system!” Unfortunately, since the system is inherently political, I seriously doubt that will ever happen. At the college I was attending until the end of the last quarter, they include the cost of the textbook in the tuition, so they both pay for and select the textbooks. This leads to the interesting situation with regard to the quality of textbook – regardless of political agendas. Such as, for their introduction to astronomy class, they provided a coffee table book with lots of nice artistic renderings of what things might look like from the surfaces of the solid planets and moons of this solar system. It included no mathematics or physics, but instead just a lot of narrative about how big the universe is and how small we are and such of the sort that one might as well watch Star Trek instead and be none the worse. Another interesting thing is that the textbook for their singular mathematics course, “college algebra”, was actually title Introductory Algebra and only went so far as using the quadratic equation. It was basically high school level algebra 1 being taught in a condescending fashion and at a price of $2,000 for the class. And of course, the gen-eds for socialism, such as The Art of Being Human for the Humanities class. On the first page of the first chapter it had such awe inspiring terminology as “The power of Google” which really impresses upon me the intelligence of the author. Oh, and in the first chapter of “Sustaining The Environment”, which ought to really be titled “Sustaining the Environmentalism Movement”, in the very first chapter it also had some odd statements about the evils of over population and how the population “must be reduced”. Oh good grief, I’m so sick of hearing the rehashed opinions of Thomas Malthus and Nietzsche. On my own, while I take a break from college and figure out if I want to go back and if so to which ought I to go, I am studying two types of textbooks together: a practical skill and an academic skill. Right now I’m studying calculus for the second time as the academic skill and I’m studying for the A+ computer repair certification as the practical skill. Not being in college I get to select the textbooks based upon my own research rather than just accept whatever trash is sent in the mail at a cost of $2000 per class for a four credit hour class. I think I can do better on my own rather than in a college-financing contract. Ben, I can’t imagine a worse scenario than a college including book costs as a part of tuition. If nothing else, the college almost certainly charges you more than what the books would cost if you bought them yourself. At minimum, you can’t “shop for bargains” at used book stores, etc. I could actually see the value of a picture book like the one you describe for astronomy. If the professor fills you in on the actual science and uses the picture book for you to visualize what he or she is talking about, that might work. However, if it is just another way to “dumb down” the subject (as it seems your college algebra course did), that’s unfortunate. It was pretty much a theme of “dumbing down” the material all throughout. Questions ranged from, “what is your opinion about the size of the universe?” to “write a brief story about what a trip through space might look like”. The professor claimed to be working on the CERN project, you know the proton accelerator/supercollider, but it seems like the most the guy did was to grade assignments. It probably goes well with the college’s financial goals for people who have been brought up to think college is so difficult that only some hyper-elite people can do it, and so they will convince themselves to maintain the dillusion that it’s actually difficult, whereas the actual challenge is to merely complete the busywork and ignore all the loan debt accumulation occurring as one pays too much for too little. Dr. Wile, I don’t know if you’ve ever heard of Nathaniel Bowditch, but he was an autodidact who had wanted to attend Harvard throughout most of his youth, but on his own he taught himself Latin, algebra, geometry, calculus, physics, astronomy, and navigation as well as many other subjects. I think he probably benefited more from his individual study of subjects than he would have had he saved up the money to go to Harvard. I don’t know what the state of college education was like then though, nor do I really know the state of education in colleges apart from Rasmussen, but if colleges tend to be more like the one I just left nowadays I think I would rather encourage people to learn autodidactically instead of incurring massive amounts of loan debt which they may never be able to repay. For example, I selected my major in Accounting based upon the projected job market on the Occupational Outlook Handbook’s statistics. However, such projected job market trend seem to change along with the weather, so if I were to stay the course with DumbedDownLoanDebt College and just do all the mindless busywork presented and get my degree I may or may not ever have a job in accounting, but I know for certain that I’ll have a lot more money to owe both the government and the school for their overly generous loans that they happily will provide. I think that studying such things as to get A+ computer repair certification is going to cost much less on my own than through college. It costs about $340 for the two exams and I bought a text for it at $30. That’s $370 on my own. However, through Busywork University it would have cost me $500 per credit hour times 6 credit hours, or $3,000 just to study a textbook for the A+ certification and not even take the exams to be certified. Eight times the cost just to rush through a textbook in a college setting and not even gain the certification for doing that. I’m hoping that the college I attended is just an extreme exception, because it seems so ridiculous that it’s beyond absurdity. Ben, it is clear you don’t have much respect for your college, and I guarantee you that there are better colleges out there if the classes you describe are typical. I strongly encourage you to either concentrate on your practical things like A+ computer certification or go to another college. If you have no respect for your college, it is not clear that employers will, either. I am familiar with Nathaniel Bowditch. While things are a bit different these days, it is possible to teach yourself on your own and do very well. One of the people I admire most in my life never graduated college but ended up as the Vice President of IT at a major firm in Muncie, IN. He taught himself everything about computers, and I can honestly say he is the best programmer with whom I have ever worked.